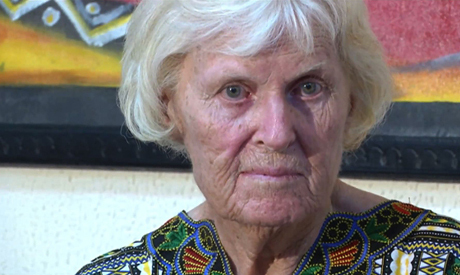 An elderly Australian woman who was kidnapped along with her husband by al-Qaida militants has arrived in Burkina Faso's capital after she was released. Jocelyn Elliott and her husband were kidnapped in mid-January in the country's north, where they have run a medical clinic for four decades. Al-Qaida's North Africa wing claimed responsibility for the kidnapping, though the group said in an audio recording Friday that it would release Jocelyn Elliott so as "not to make women involved in the war." Both Elliotts are in their 80s. Jocelyn Elliott was released by her captors in neighboring Niger, and arrived by plane in Ouagadougou on Monday morning before going to the presidency. The Elliott family has called for the captors to show similar mercy for her husband.